Pledge Guarantee for Health (PGH) is a Public-Private Partnership designed to increase the speed and efﬁciency of funding from international donors for health commodities. Pledge Guarantee for Health is an innovative financing partnership designed to increase the availability and predictability of funding from international donors for health commodities. Through a 5-year partial guarantee from the governments of the United States and Sweden, PGH is able to leverage $100 million in credit from commercial banking partners which, in turn, extend short-term credit to traditional donor aid recipients. Recipients are empowered to use committed donor funding in advance of disbursement, resulting in increased buying power, greater value, accelerated procurement and delivery, and, ultimately, more lives saved. Through this public-private partnership, PGH structures financing to grant recipients on the basis of their pending aid commitments. PGH transactions average six months in duration, allowing the $100 million in credit to be turned over twice annually. Over the course of USAID and Swedish Sida’s 5-year commitment, this translates to a tremendous amount in new lending capacity. Having proven the concept and delivered impressive results over two years, PGH now moves into its next phase as an independent entity, spearheading new partnerships that will take the concept to scale. This unique alliance of businesses, non-profits, governments and donors exemplifies the innovative partnerships that are crucial to meeting 21st century development goals. Swedish development cooperation is part of a global cooperation in which Sweden is one of many participants. In order to carry out its work, Sida cooperates with Swedish government agencies, organisations and international bodies like the UN, the EU and the World Bank. According to the fundamental principles of Swedish aid, it is the responsibility of each recipient country to adopt its own strategy for economic development and for combating poverty. This strategy forms the basis for the cooperation strategy that Sweden and the respective countries or regions form together. With which countries and within which areas they should focus their work all depends upon political decisions made by the Swedish government. Swedish development aid follows three thematic priorities; democracy and human rights, environment and climate change and gender equality and womens' role. Together with efforts to promote economic development and humanitarian support, they encompass all their activities. On behalf of the Swedish government, suggest strategies and policies for Swedish international development cooperation. Participate in Sweden’s advocacy work and in the dialogue with other countries, donors and recipient countries, as well as with international organisations and other actors. In order to implement strategies and carry out its work Sida cooperates with a large number of organisations, associations, agencies, companies and cooperatives. A total of 15 Swedish organisations currently have framework agreements with Sida, meaning they receive funding for carrying out part of the Swedish aid work in collaboration with civil society organisations in developing countries. These frame organisations contribute 10 percent of the costs in the joint projects, and among the organisations are the Africa Groups of Sweden, Diakonia, the Swedish Society for Nature Conservation, Save the Children Sweden, the Church of Sweden and the World Wildlife Fund for nature. In addition, Sida has agreements with a number of Swedish government agencies, as their expertise and experience can be of good use in partner countries. They also work with the private sector, in accordance with a specific business plan. 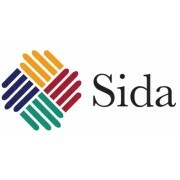 Sida also cooperates with other countries’ development aid agencies. In addition, Sida cooperates with international bodies like the UN, the EU and the World Bank. It is the comprehensive cooperation between Sida, other donors and the cooperation country that governs Sweden’s commitment, whether on a regional, national or global level. Discussions with the country’s representatives, its citizens, organisations working there and other donors all tells them what the needs are and how can they cooperate in order to respond to them. Combating corruption is an important issue in the cooperation work and in the dialogue between Sweden and their partner countries. Corruption is not only a significant threat to combating poverty and development cooperation. It is also a serious threat to all forms of economic, social and democratic development. If money disappears from a project or if there are deficiencies in a project’s auditing, Sida demands that the funds are being returned. Further payments are suspended during the ongoing investigation until the deficiencies have been addressed. For more than 45 years, the David and Lucile Packard Foundation has worked with partners around the world to improve the lives of children, families, and communities—and to restore and protect our planet. We are a family foundation guided by the enduring business philosophy and personal values of Lucile and David, whose innovative approach to management helped transform a small electronics shop in their garage into one of the world’s leading technology companies. Their approach to business and community participation guides our philanthropy: We invest in leaders and institutions, collaborate with them to identify the most effective solutions, and give them freedom and support to best reach their goals. The Foundation supports leaders and institutions working to achieve a biologically rich, sustainable world where all families can plan for their children and all children reach their potential. We work on the issues our founders cared about most. Our resources are small compared to the challenges we seek to solve so we invest carefully, constantly evaluate our progress, and refine our strategies to ensure that our efforts lead to effective solutions. The Conservation and Science Program invests in action and ideas that conserve and restore ecosystems while enhancing human well-being. The Population and Reproductive Health Program funds innovative work that addresses population growth and promotes positive reproductive health. The Children, Families, and Communities Program strives to ensure that all children have the opportunity to reach their full potential. For more than 40 years, the Packard Foundation has supported an array of nonprofit organizations in geographic areas that are significant to the Packard family.